When modularity, affordability and quality in a 308 WIN package are all important, the Mk3 T is the upper of choice. The Mk3 T is equipped with CMMG's RKM15 KeyMod free float hand guard. 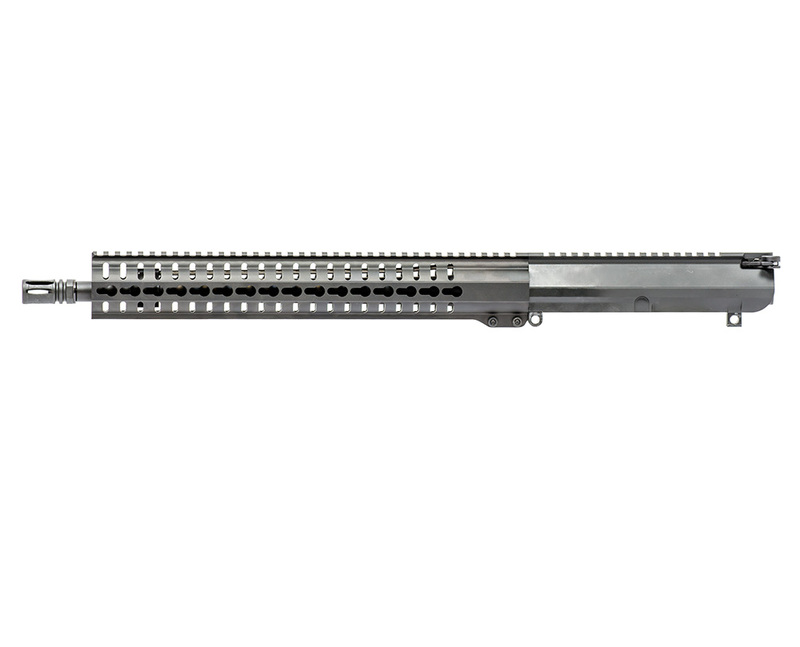 Available with a nitrided 416 stainless steel, 16" medium taper profile barrel in 308 WIN. Each rifle includes CMMG's lifetime quality guarantee. We have been very impressed with this upper at Harrison Gear. We shoot one regularly and it fits the bill for a very handy gas gun at a fair price. It has become a common barrel length now with the military SF/DA/CIF teams (16" 7.62). This is for good reason, you can get just as much accuracy out of a 16" gas gun and when you affix your suppressors you pick up a few lost feet per second. This might just be my favorite 7.62 gas gun upper configuration for any sort of mission. Throw it easily into the truck, ruck through the mountains or anything else you require of it. Love this upper, perfect as a patrol rifle or scout rifle. I love it for throwing in the truck as a general everything rifle. 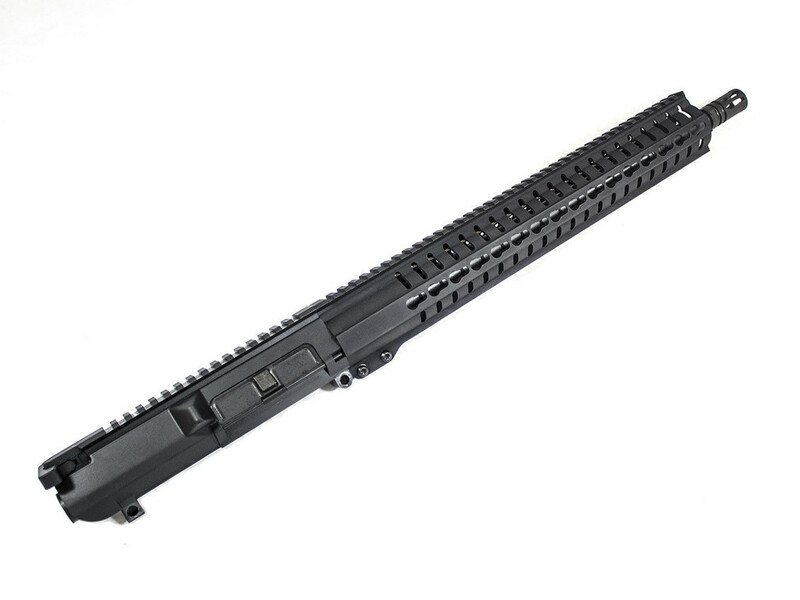 The length of this upper is great, 16" is ideal for me. It allows for shots out to 600 meters with ease and accuracy and also short enough for operating in thick vegetation or structures. There's a reason CAG and SF units have gone to the SR25 in 16" barrels. I just cant bring myself to pay 6k for a real sr25!!! Save some cash and build your own handy 16" gas gun. This is also a great size when running a can, also a must buy! With all the money I saved over a real sr25 I can stack mags and ammo! Upper shoots and cycles great. firing match grade factory loads im able to get great accuracy. Perhaps a match grade single stage trigger would be in order. this upper eats whatever I put through it with no issues. Machine work is great and I love the KEY MOD rail, very handy and slim. Good daily general purpose set up. Very easy to carry around or throw in the racks on the Polaris. Great to have a compact .308 with magazine capacity from 20 to 30. This was mounted on a Harrison gear billet lower. Mates up good, just fine my my needs. This hits hard though and recoils hard too, obviously its a .308. But try an adjustable gas block or the slash heavy buffer like I did, slows down and reduces the recoil. After that the gun was much more shootable for those of us getting older. Great if you have a black bear problem or other predators, there when you need it. I got this and had my Gemtech suppressor mounted and was barely able to get it on paper. Seemed to be really far off the side. Pulled it apart and sent to CMMG and they tested it, everything was ok. So I remounted the quick mount and used precision shims and it was Perfect! I guess I had the quick mount on at an angle. Make sure you use the precision shim kit included for good results. Shoots just under a minute at 100 yards and cycles great on anything I feed her. Oh put a few drops of lock-tite on the rail screws for added insurance so they don't come loose. Oh I shoot SMK 175's and 168" by the way, they group great. My cheapo ammo is the Colt 168 grain stuff from Russia and that shoots pretty close DOPE to the 168 federal gold medal match but much dirtier.